We will inform you of the damage situation of Typhoon No. 10 passed through Hokkaido on 30th August. 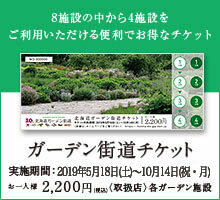 However, as of September 2, the Manabe garden has a high water level in the neighboring Kenchikawa River, the water level of the pond in the park is also higher due to the rise in the groundwater level, and the park around the pond can not enter . Rokka no Mori is in a situation where it is impossible to enter the west forest of the east side as it is necessary to process the fallen tree and repair the bridge as of September 2. Due to the influence of typhoon 10, there are damages caused by water increase in the park and part of the park, and there are no prospects for restoration of the surrounding road leading to the Tokachi Millennium Forest. Therefore, until September 1 6th (Friday), we decided to close the Tokachi Millennium Forest. About the opening situation after 1 7 (Saturday), we will guide you in the notice column hereafter. In addition, due to the influence of this typhoon, the Internet line is disconnected in the Tokachi Millennium Forest, and it is also difficult to connect with your phone. We will respond sequentially as soon as it is restored, but please be forewarned that it may take time. Please check the latest road traffic stop information on the following HP.